because of you we can help more people. 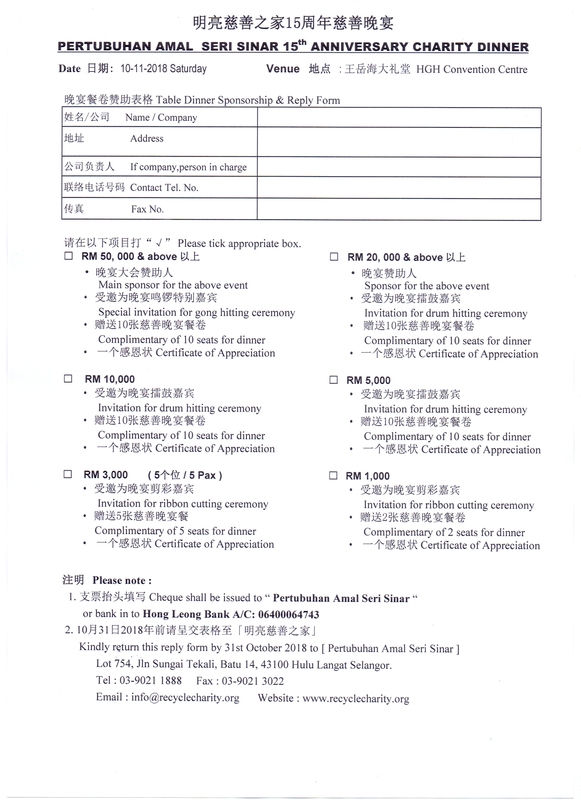 SK Seksyen 2 Bandar Kinrara, Puchong pupils received Study Aid donation from P.A.S.S. Thank you, from our heart and soul. We wish to express our sincere thanks and appreciation to Forest Scent for kind donation to our Plant A Tree Program. Go Green! Let's Plant A Tree! 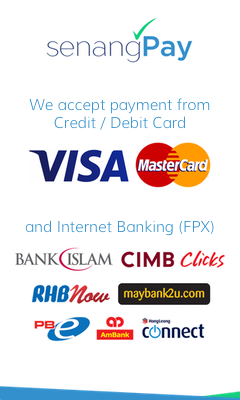 Pertubuhan Amal Seri Sinar ( P.A.S.S.) wish to set up a recycle bin at condominiums and apartments for the convenience of the residents to drop their unwanted items. ✔️ We will make regular collection service to ensure tidiness in the premise. ✔️ We will provide a recycle bin 5 ft x 3 ft x 2 ft in dimension for free. We accept old newspaper, books, magazines, paper, aluminium products, glass products, used clothes, shoes, slippers, bags, watch, hat, woman products (make up), kitchen items, new toiletries, children soft toys, etc. *For bulky items, such as furniture (sofa, rack, table, chair) and electrical (TV,Mobile Phone, Laptop, Washing Machine, Fax Machine, fan), please call our office at 03-9021 1888 for free pick up arrangement. 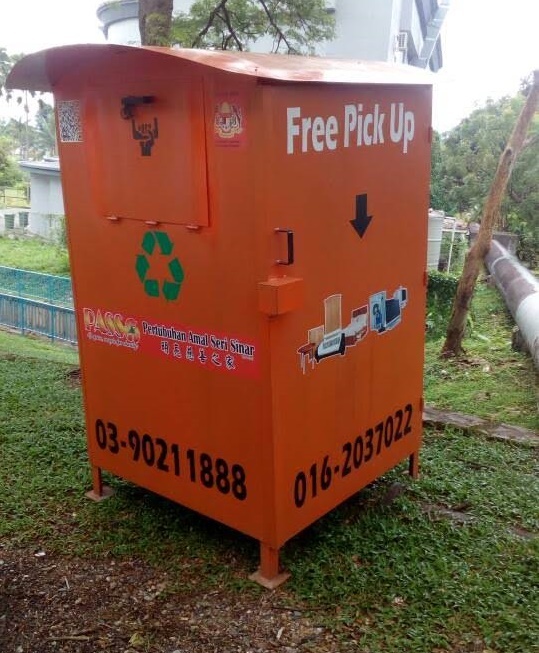 Kindly be informed that the orange colour recycle bins in Subang Jaya area were temporary removed on instructions from MPSJ. You will be informed when the bins are reinstate later.